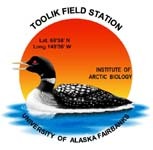 The aims of this article are to characterize the nutrient regime in arctic and boreal wetlands and to review published data on various aspects of within-stand nutrient-cycling. Most northern wetlands, such as boreal and arctic ombrogenous bogs and most arctic mesic and wet ecosystem types, are poor in inorganic, plant-available nutrients because mineralization is restricted due to low temperatures and anoxic soils. This is particularly true in the Arctic because nutrient inputs from external sources quite often are small, and nutrient pools in the vegetation also are small. By contrast, the soil and the microbial biomass often contain large stocks of organically fixed nutrients that are largely unavailable to plants. The vegetation is adapted to the low availability of nutrients by the perennial nature of both entire plants and plant tissues, which minimizes the annual nutrient losses and reduces the demand for nutrient uptake to produce new tissues. Furthermore, many of the dominant plant life-forms can use soil organic nitrogen (N), either by direct uptake or through connections with ericoid or ectotrophic mycorrhizae, which reduces competition from other plant groups without the ability to utilize organic N. As soil fertility increases, productivity also increases. However, at least in geogenous ("mineral fed") Arctic wetlands, vascular-plant turnover time is surprisingly constant across nutrient and moisture gradients. This is mainly because communities with a species stock having high leaf turnover rates generally have slow stem and belowground turnover rates and vice versa. Turnover times of the bulk soil organic matter, by contrast, range from a few decades in the most productive systems to several centuries in the most nutrient-deficient and wettest ecosystem types. This is because decomposition rates of the soils are controlled by varying environmental conditions, and nutrients can be strongly immobilized within the soil-microbial ecosystem compartment if the soil is nutrient poor. The composition of the vegetation regulates the turnover of plants and plant nutrients but plays a minor role for the function of the entire plant-soil system. Hence, characteristics of nutrient cycling at the stand level are relatively unimportant for the function of the overall soil-plant systems, and characteristics of the plants (nutrient resorption, tissue type, longevity, etc.) mirror the functioning of the system rather than play a major role in regulating ecosystem function. However, several uncertainties about the detailed function of the ecosystems are still unresolved and are highlighted in this compilation.